Well hi there — I’m Polly! 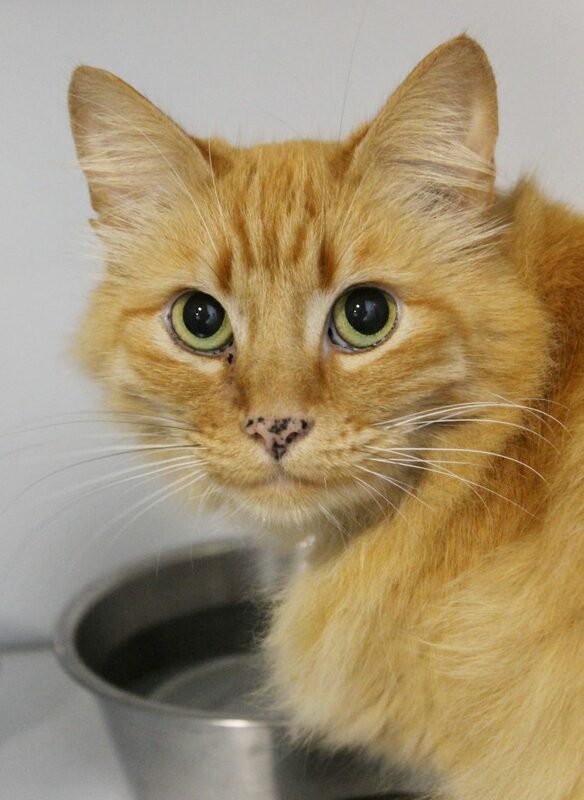 I’m a beautiful and unique 9-year-old orange female kitty with super soft and luxurious fur. Did you know only 2% of all orange kitties are female? I guess that makes me special! Not only that, but I’m extremely friendly and loving — especially when I see a brush! My coat is pretty low-maintenance and brushing is a great way for us to bond. I lived with another kitty for a long time, so I’m pretty sure I’d make another lonely feline a nice companion, but I would be totally happy as an only kitty as well. Want to fill your home with someone special? I think we’re meant to be! Come by Pixie today to meet me! I come to you spayed, micro-chipped, and vaccinated for a $100 adoption fee.